KIEFER Ravena of Ateneo has officially copped his second straight UAAP Most Valuable Player and leads the Mythical Five awardees of Season 78. Ravena was joined in the Mythical Five by Kevin Ferrer and Ed Daquioag of University of Santo Tomas, Alfred Aroga of National University and Jeron Teng of De La Salle who all finished in the Top Five of the MVP statistical race. Ravena took his second straight MVP after amassing 69.5 total statistical points (SPs) to beat out Ferrer by a close margin, according to the official statistics report of Imperium Technology. Statistics is the lone basis for the league's individual awards. Ferrer came in second with 67.3571 total SPs after a banner season for the Growling Tigers. Aroga finished third with 63.2857 total SPs, followed by Teng, who had a 60.7857 total SPs. 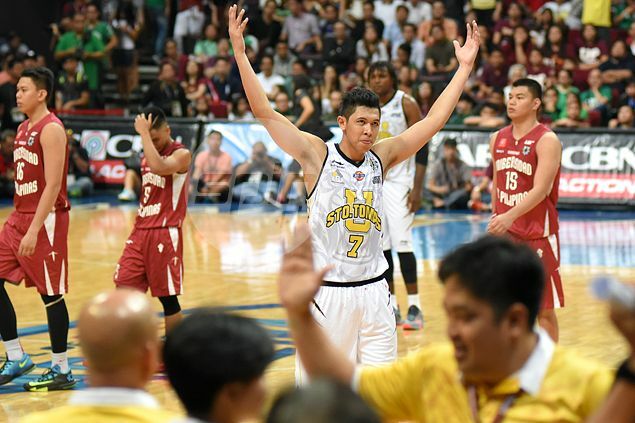 Daquioag became the second UST player in the Mythical Five as he amassed 60.5714 total SPs. Curiously, no player from Far Eastern University made the mythical team. The Tamaraws finished tied with the UST Tigers for the best record in the double-round eliminations (11-3) and are the second seeds in the Final Four.